Our live show is available to perform in libraries, private parties and community events. Watch free lessons and learn the basics of gutiar playing!!! All of our students receive a free guitar rental for the duration of their class. All guitars are available for purchase at any time!!! 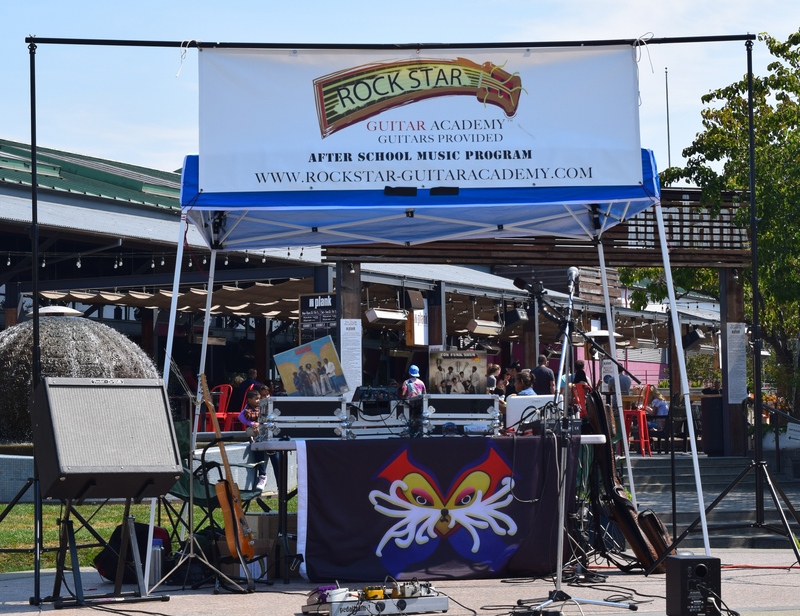 ROCK STAR GUITAR ACADEMY is an independent music enrichment program offering group guitar and rock band instruction, online video lessons and private instruction for beginning and intermediate students. Combining music education with entertainment, students learn chords, riffs, strumming, scales, solos and a host of songs to get them started on a lifetime journey of musical discovery and expression. Our music program uses a color-coded curriculum written and developed by singer-songwriter, mikO Tolliver. In an effort to expose students to all music possibilities, students learn to play songs from various music genres and cultural backgrounds. 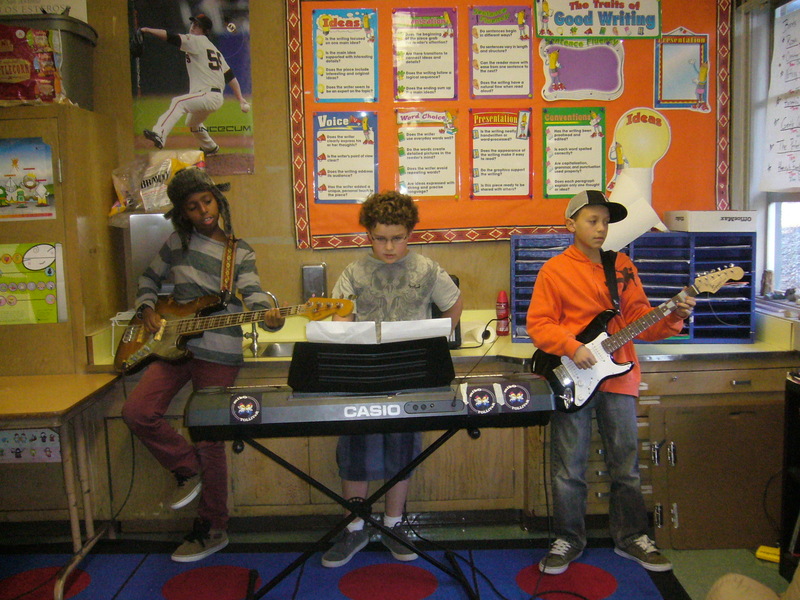 The ROCK STAR GUITAR ACADEMY music program strives to promote diversity through learning and creative expression. After-school enrichment courses are offered at various Bay Area school locations for students grades 2 - 5; advanced 1st grade students are accepted upon instructors approval. There are three sessions per school year with live recitals and recorded video performances at the end of each session. Enrollment in class includes guitar rental for students to take home. Other equipment such as amps and chords are provided for in class practice and rehearsals. Each session concludes with a class recital or video recording of songs learned during the session. All instructors are TB tested and fingerprinted. Headed by singer-songwriter mikO Tolliver, Advanced Placement is the official cover band for ROCK STAR GUITAR ACADEMY. 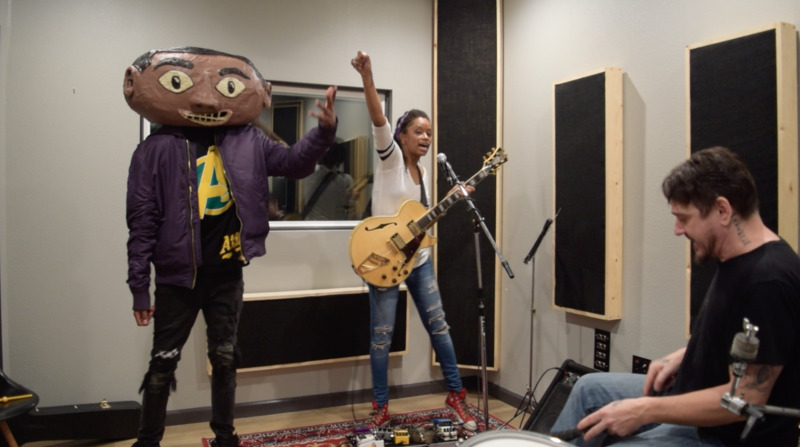 mikO has performed music for over 15 years in places like Las Vegas, House of Blues LA and the local Bay Area. Her family friendly music set includes top 40 Billboard hits from artists like Taylor Swift and Pharrell Williams to tributes to legendary artists like David Bowie, Prince and Michael Jackson for a live non stop mash up of fun and danceable tunes. Available for private parties and community events, Advanced Placement is a stripped down duet of guitar and percussion. Contact us about booking a live set for your next event!!! 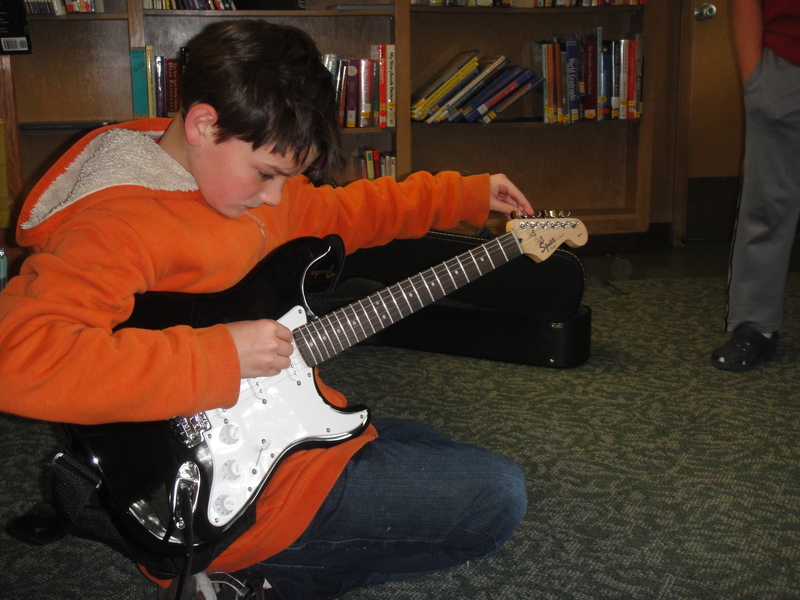 ROCK STAR GUITAR ACADEMY strives to create a fun learning environment for students to begin their musical journey. In addition to our Rock Band classes there is also our fun entertainment teaching web series, "Guitar Basics." The series uses skits and sketches to teach popular songs and many parts of the Guitar Basics Booklet. Guitar Basics is a color-coded guitar curriculum great for beginners and intermediate players. 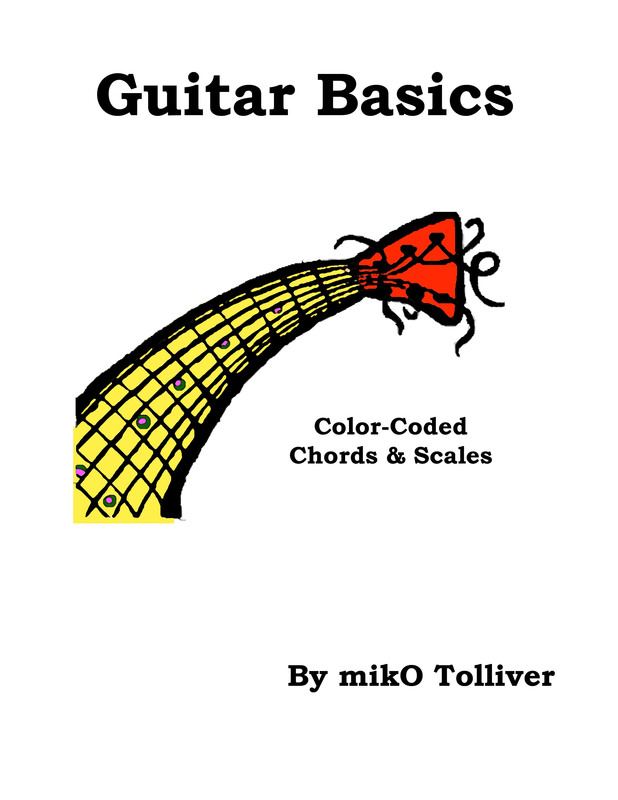 Written by mikO Tolliver, the Guitar Basics Booklet has been used for over a decade to teach chords, scales, music reading and countless songs to students. Guitar Basics is the main curriculum used in the ROCK STAR GUITAR ACADEMY youth music program and has been turned into a YouTube entertainment teaching video series, "Guitar Basics." Sign up for our mailing list and get FREE access now! All guitars used in the program are available for purchase at any time. Did your young learner fall in love with their guitar and now you're interested in purchasing it? Contact us about buying it!! !